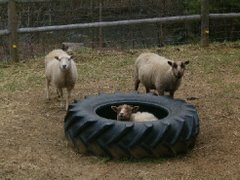 On Thursday, April 10th Lumi shared with us the question of how many lambs she was carrying in her 54 inch circumference body. Here's the shot of what she looked like prior to lambing. 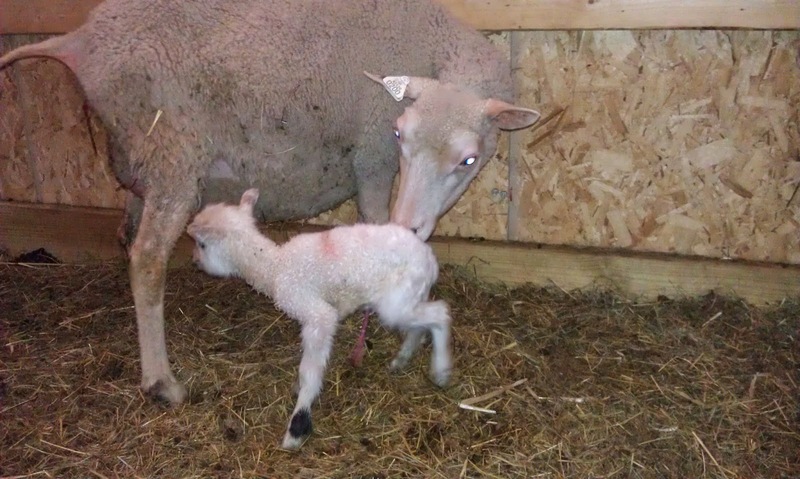 Her first lamb came breech as I saw a hoof and a tail. By the time I came back from the house with some lube to see which foot was showing, she had already birthed the first lamb. A cute little ram. Second lamb came an hour later with a proper presentation and turned out to be a cute little ewe. Third lamb came about 10 minutes later ... another girl. 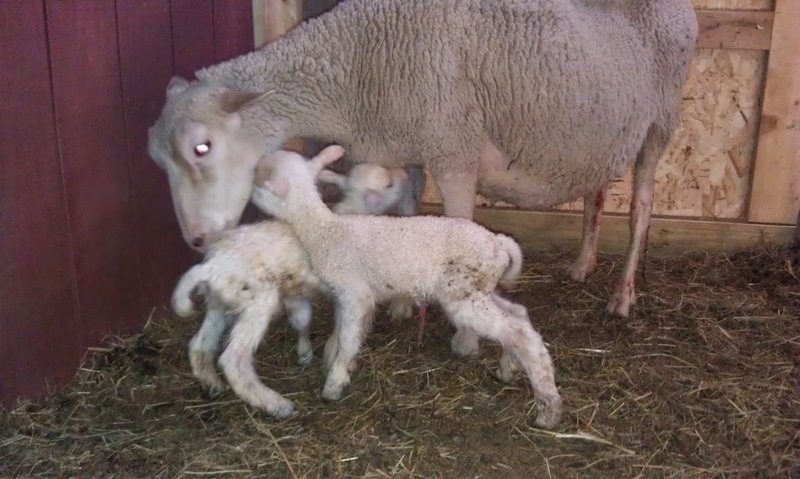 I waited a few hours later before I realized that she didn't have any more lambs in her. Three babies for that large a body. What a crazy thing. That same morning, I found out that our chicks we ordered from the feed store were ready to be picked up. I let Tim know and on his way home from work he brought these cuties along. My friend, Susie, was here to see the lambs and saw Tim bringing home chicks. Her comment was priceless saying that some husbands bring home flowers or chocolates but she liked that Tim brought home baby chicks. 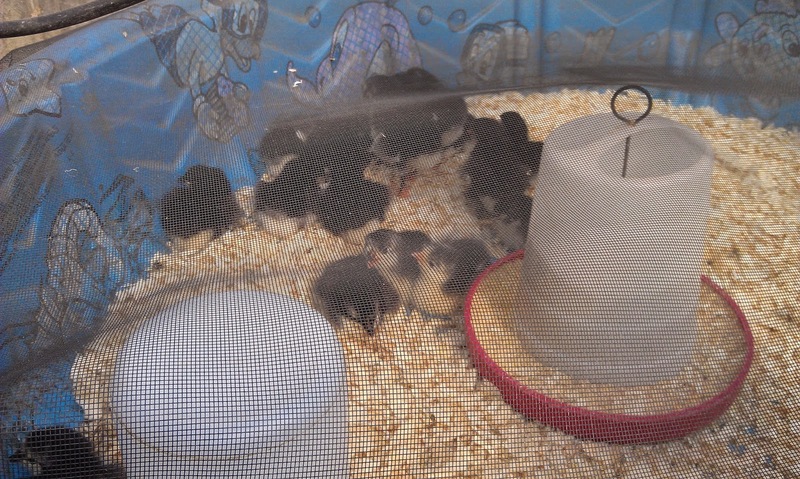 We got 18 Black Australorps. Here they are in their new brooding area, yes it's a kiddie pool with window screening binder clipped to the pool.